Are you or a loved one suffering from an alcohol addiction? We understand that addiction not only affects the life of the user but also impacts friends, family and those involved. At Linwood House, we care. We know that sometimes alcohol detox isn't enough. Contact us today about the benefits of private alcohol rehabilitation. Admissions can be organised within 24 hours, Monday to Sunday. Call us in confidence, on our 24/7 admissions line on 01226 422 545. Detoxification is an essential part of the alcohol withdrawal process. However, without treating the psychology aspect of addiction, the user is more likely to relapse. Not only is a relapse heart-breaking for the friends and family of the patient, but it can be even more challenging for the user to become alcohol-free. Alcohol rehabilitation gets to the core of the addiction. Every person that enters a rehabilitation clinic will have different experiences, backgrounds and personal circumstances therefore making every patient’s requirement unique. Individuals who have gone through both the detoxification and rehabilitation process are more likely to achieve their goal of being alcohol-free. 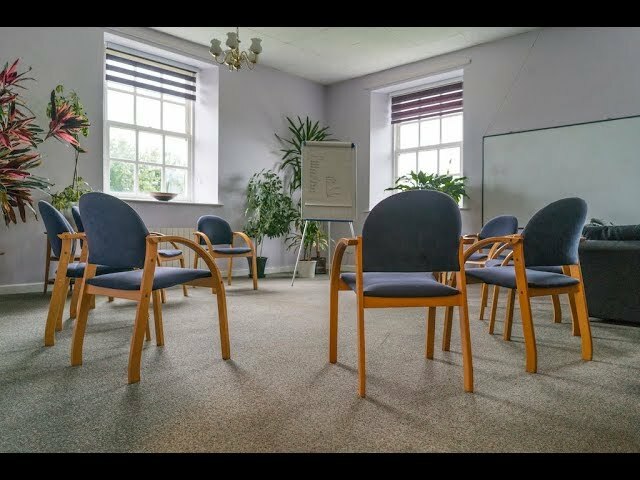 What happens in an alcohol rehab centre? On arrival at Linwood House, you will be assessed by our Health Professional who will review your alcohol usage and history. Based on this, we will take the correct course of action to help you with the detox process. Throughout the detoxification process, there are two therapy sessions available to you daily. Our dedicated team of nurses and support workers will monitor your progress and look for symptoms of alcohol withdrawal. The benefit of coming to an in-patient rehabilitation clinic is you will have professional support, around the clock, when you need it most. After the detoxification process is complete, the rehabilitation phrase can begin. You will undertake various therapy and evidence-based psychological interventions, where we can discover and analyse the root of the addiction. You will be introduced to skills-based techniques, cognitive behavioural therapy (CBT) and the globally-renowned 12 Steps of recovery programme. Every day, you will be involved in no more than two therapy sessions including group and one-to-one sessions. At Linwood House, we know to overcome an addiction takes time, courage, willpower, determination and most importantly, ongoing support. After leaving Linwood House, our work is far from done. We understand that the road to recovery is an on-going commitment. Patients that have stayed longer than three weeks or more at Linwood House will benefit from our monthly aftercare workshops. These workshops are also available to immediate family members. Patients find these workshop sessions play a vital role on the road to full recovery. As part of the rehab process, we have 3 on-site open AA meetings at Linwood House. There is also 1 offsite AA meeting. We have a fortnightly Narcotics Anonymous (NA) meeting at Linwood and travel to a meeting weekly in Sheffield. These meetings provide additional support and an introduction to AA/NA that can continue once the stay at Linwood House is complete. Is access to a residential alcohol rehab centre available on the NHS? Unfortunately, there is no such thing as ‘free rehabilitation’. In recent years, it has been more increasingly difficult to obtain funding from local authorities. Funding is possible, however it is scarce. Patients that go private are self-funded. They will either pay for the treatment themselves or sometimes a family member will assist. In residential rehab, our objective is to help you turn your life around. We all have commitments, whether it is work or family. Sometimes, we need a form of escapism to rest and recuperate. At Linwood House, you have the perfect opportunity to focus on your recovery. You can forget about the outside world and dedicate your efforts on overcoming your addiction. If you or a loved one is trying to overcome an alcohol addiction from home, this can be a more difficult approach. Our team of specialists have a wealth of experience in alcohol withdrawal treatment. At Linwood House, you will be in a safe environment away from temptation. At our alcohol rehab centre, you're not the only one trying to overcome an addiction. There will be other patients that are trying to reach the same goal. Since 2006, we've helped people from all walks of life to turn their lives around. You'll learn the skills to help you overcome alcohol addiction. Upon leaving our Linwood House, you will have the tools and skills to help you think differently about old behavioural patterns and make a new start. With CBT therapy sessions, you will discover ways that can help you manage your problems by changing the way you think and behave. Transportation can be an issue for individuals going into rehab. At Linwood House, if you are within 50 miles, we will collect you. Are you worried that you or a loved one may be suffering from an alcohol addiction and requires professional support? Call us on 01226 422 545 for a confidential discussion with our team of specialists. We’re open 24/7.